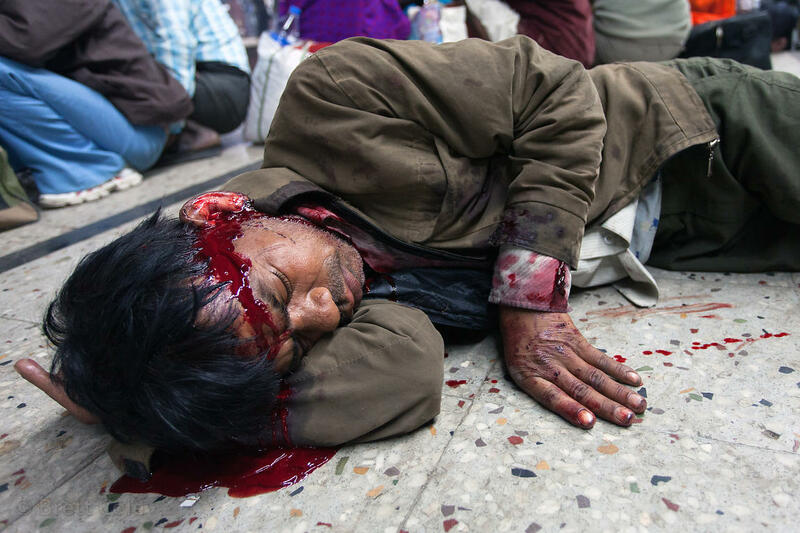 A man lies bleeding on the Sealdah railway station platform in Kolkata, India. He remained there for about an hour before an ambulance arrived. The nature of the injury is unkown.